The Durham Museum is pleased to present its 15th annual Teachers’ Night on Friday, October 5, from 5-9PM. This complimentary event is one of the region’s largest open houses and information exchanges for area educators and is open to all teachers and education professionals. Registration is now open and available online by visiting www.durhammuseum.org. 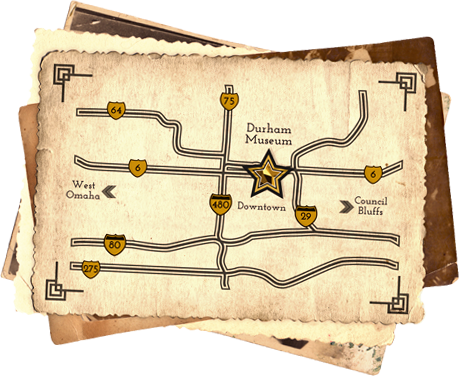 The Durham Museum Teachers’ Night program began in 2004 and was originally modeled on a similar event offered by the Smithsonian Institution in Washington, D.C., of which The Durham is a leading affiliate. Since its founding, Teachers’ Night has grown into one of The Durham Museum’s primary educational outreach initiatives, drawing nearly 1,000 educators each year. The Durham Museum Teachers’ Night is sponsored by First Nebraska Credit Union, Metropolitan Community College, Nebraska State Education Association and Metropolitan Utilities District.